Thanks for posting! I forgot to share it here. Hope to see you guys there! Either wear a clown costume or dress like Dracula so that we know you're from AB. Slutty Meals on Wheels driver also acceptable. I was bummed I couldn’t make it, data, I thought I could but I totally forgot I had something non-negotiable ... how’d it go? It was a good turnout, ate up more than the alloted space. Aloisi and Salvucci both spoke, made the case well. They both seemed guardedly optimistic of getting forward motion at the next FMCB meeting. Let’s hope we see some motion on this. Very successful, packed the place. Last edited by Beton Brut; 01-23-2019 at 01:11 PM. Was there, greatly enjoyed it (as did my friend I roped into coming along). I could *mostly* hear everything but was happy how packed it was. Thanks for organizing, TM! Same. I really wanted to go to this but had conflicts. If there are notes or anything like that, I'd love to see them. We will be sending out a call to action to comment to the FMCB in writing and in person on 2/4. If you are interested in commenting, please DM me your email and I will put you on the list for receiving the instructions. Ugh, when did they end up speaking? I got there a bit late (7ish) and didn't stay too long - seemed rather packed and figured I had missed things. We started the program with comments from Rep Jay Livingstone at 6:20, then Jim Aloisi followed and introduced Fred. Fred spoke until about 7. The transit+beer logo is legitimately fantastic. Well done on that. Marc (DigitalSciGuy) is to thank for the general template/layout of the B&T branding, but I've assumed the graphics throne now so all the event card info updating is done by me (and eventually my design team that I will hopefully on board soon)! I also designed the pins we gave out. Ah, just missed it then. Next time I make it more of a point to get out of the office earlier. 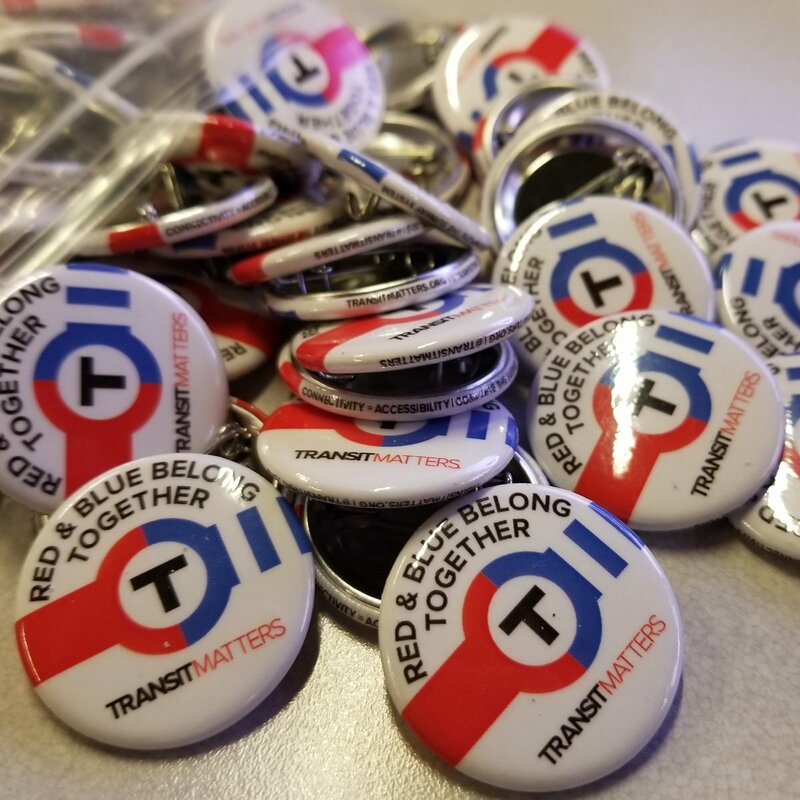 If anyone wants a Red-Blue pin, let me know. You can stop by my office in DTX and pick one up for free.